In late 2002 Justin Timberlake managed to make the leap that many young stars never accomplish—the leap from teen idol to full-fledged, adult artist. In the late 1990s, he was one-fifth of the wildly popular boy band 'N Sync, considered to be the cute, funny one, and a headline maker thanks mostly to his on-again, off-again romance with pop princess Britney Spears. But, having hit the ripe old age of twenty-one, Timberlake decided to leave the safety of his supergroup to launch a solo career. His debut CD, called Justified, was released in December of 2002, and its funky mix of hip-hop and R&B clicked with both old fans and new. More importantly, Timberlake gained the respect of critics and peers. In 2003 he took home several awards for his freshman effort, including three MTV Video Music Awards, and in February of 2004, Timberlake snagged two Grammies, considered the highest achievement in the music industry. It seemed the pop idol had grown up, and as Jenny Eliscu commented in Rolling Stone, Timberlake "attained the one thing he wanted more than anything else: credibility." Justin Randall Timberlake was born on January 31, 1981, in Memphis, Tennessee, considered to be the home of the blues and the birthplace of rock and roll. From the very beginning, Timberlake's mother, Lynne, knew her son would be a performer. He was dancing along to the radio when he was just a toddler, and by the age of two and a half, Timberlake (nicknamed Curly) could sing in perfect harmony. As Timberlake later recalled in a Time for Kids interview, "Ever since I was a little boy I always sang. So I figured out that was sort of my calling." When Timberlake was three his parents divorced. He remained friends with his father, but he grew up with his mother and his stepfather, Paul Harless, who Lynne married when Timberlake was five years old. Young Justin was, and is, extremely close to his mother. In fact, he has a small tattoo on his back of an angel holding a banner that bears her initials. In addition, Lynne later became her son's manager. Timberlake started out singing in the church choir; he began his stage career by performing in countless local talent contests. In 1992, after several years of voice lessons, he appeared on Star Search, a televised tournament-style talent competition that helped launched the careers of many top entertainers. The eleven-year-old sang under the name of Justin Randall, and although he received high marks from the judges, he did not win the contest. "I know people have an image of me in their head, but I want them to be able to see past that. I want them to see the musicality of what I'm doing." Timberlake was not discouraged. He continued to make the rounds of auditions, and in 1993, at age twelve, he landed a spot on The Mickey Mouse Club, a half-hour show for kids that blended singing, dancing, and comedy sketches. Competition to be a Mouseketeer was high, considering thousands of hopefuls tried out for the show, and Timberlake was thrilled to be added to the program. He and his mother moved to Orlando, Florida, where the series was produced, and for two years he appeared as a regular along with fellow cast members, including up-and-coming stars, Britney Spears (1981–), Christina Aguilera (1980–), and future bandmate Joshua Scott (J. C.) Chasez (1976–). When the show was cancelled in 1994, Timberlake was disappointed, but he already had his sights on his next move. He and Chavez had been contacted by a young singer named Christopher Kirkpatrick (1971–) who had seen them on Mickey Mouse and now wondered if the two ex-Mouseketeers would be interested in joining a band he was putting together. Timberlake and Chavez joined forces with Kirkpatrick, Joseph (Joey) Fatone (1977–), and Jason Allen Alexander (1981–) to become one of the most successful pop groups ever, 'N Sync. Pop idol Justin Timberlake may spend his money freely on clothes, cars, and plenty of bling, but he is also committed to helping youngsters fulfill their dreams. In 2000 Timberlake established the Justin Timberlake Foundation, with the goal of funding and supporting music programs in public schools. As the performer told Time for Kids, "This is about an opportunity that every young person should enjoy, no matter what career they aspire to. I want to do everything I can to make sure other people can benefit from music education." In May of 2000, the foundation's first grant was awarded to Timberlake's own Memphis elementary school, E. E. Jeeter. In addition to money, the pop performer donates his time to help schools integrate music into the curriculum. He also helps others raise funds for what he considers to be an important initiative. For example, the foundation regularly auctions off items online, including Timber-lake concert tickets and some of the star's own belongings, such as his sneakers. In 2002, the Timberlake Foundation joined forces with the American Music Conference (AMC), a national, nonprofit organization, which according to its Web site at http://www.amc-music.org, is "dedicated to promoting the importance of music, music-making, and music education to the general public." That same year, Timberlake partnered with AMC to urge Congress to support music education in U.S. schools. Thanks to Timberlake's involvement, millions of people visited the AMC Web site, kids and adults wrote letters to their congressmen, and by late 2002, Timberlake's mother, Lynn Harless, delivered a petition containing thousands of signatures to Capitol Hill. As Timberlake explained on the AMC Web site: "The main purpose of this petition drive is to show the people on Capitol Hill how important music education is to the people they're working for. The publicity that surrounded the petition has reached millions of people and gotten them talking. I think we've laid a foundation for more public activism in the future, and I hope people start in their own home towns." The five young men formed instant friendships and it was clear that their harmonizing styles blended together perfectly. As a result, because they were so in sync, Timberlake's mother came up with the band's appropriate name. In addition, 'N Sync was formed from the last letter of each member's first name (Justin, Chris, Joey, Jason, and J. C.). When Lance Bass (1979–) replaced Jason Allen, the boys jokingly called him Lansten so he would fit into the group's acronym. In need of financial backing, the band turned to Lou Pearlman of the Trans Continental management company. Pearlman quickly put the boys in touch with Johnny and Donna Wright, who became 'N Sync's tour managers. The Wrights were music veterans with just the right experience; they had previously managed 1980's teen heartthrobs New Kids on the Block, and they had recently helped form the Back-street Boys, another five-member teen vocal combo, and one that would be constantly compared to 'N Sync. The rest is boy band history. 'N Sync began by touring extensively in Europe where they honed their vocals and on-stage choreography. In 1998 they released their self-titled debut album in the United States, as well as a Christmas album, Home for Christmas, and for the next three years they topped the pop charts, packed stadiums, and sold millions of records. Critics generally dismissed them as cookie-cutter bland, but millions of fans, most of them pre-teen girls, gobbled up everything 'N Sync. They plastered their walls with posters, bought 'N Sync dolls, bopped to dance numbers, such as "I Want You Back," and swooned over sugary-sweet ballads, including "God Must Have Spent a Little More Time On You." Thousands of Web sites and fan magazines popped up overnight and every girl had a favorite band member. Timberlake, in particular, was a fan favorite, perhaps because he was the youngest of the group. Or, maybe because of his much publicized relationship with Britney Spears, which made for constant tabloid fodder. In 1999, after a bitter dispute, the band broke from Pearlman, who was accused of mismanaging funds. 'N Sync signed with Jive Records, and released two more albums: No Strings Attached (2000), which broke industry records when it sold 2.4 million copies in its first week of release, and Celebrity (2001), a blend of electronica, R&B (Rhythm and Blues), and country. The "boys" were definitely growing up, taking control, and proving that they had true staying power. They were also branching out on projects of their own. Bass and Fatone were acting in TV, film, and theater, Kirkpatrick launched a clothing line, and Chasez wrote and produced tracks for other recording artists. In 2001, however, when they officially took time out from the band to pursue individual ventures, Timberlake was the first to release a solo album. In interviews Timberlake reported that he wanted to do a solo record because he needed the freedom to express himself. He also claimed that the impetus was the breakup of his almost four-year relationship with Spears. "It was angst in the form of heartbreak," he told Jon Wiederhorn of MTV.com. "Writing a couple of songs on the record helped me deal with things. It was like a whole big spa treatment." Timberlake had the emotion, he had the singing chops, and he had some writing experience since he had penned several 'N Sync songs, including "Gone" and "Girlfriend." But he still needed collaborators, and although he was connected with Jive Records, producers still needed convincing to become connected with the boy with the bubble-gum past. Timberlake was fortunate to snag some of the biggest names in the business, including Pharrell Williams and Chad Hugo of The Neptunes, producers of such hip-hop artists as Jay-Z, Mystikal, and Ludacris; Tim 'Timbaland' Mosely; Andre Harris; and Vidal Davis. Although these industry giants definitely laid the blueprint for the album, and their urban styles are evident in such tracks as "Nothin' Else" and "Last Night," Justified was undeniably Timberlake's own. He co-wrote each of the thirteen songs, and he injected his own sense of soul into each and every one. "As a kid, I gravitated toward Stevie Wonder, Al Green, and Marvin Gaye" the singer explained to Meredith Lerner of VH1.com, "and that stuff's still with me." By the end of the six weeks of recording, Timberlake's collaborators recognized that talent. As producer Scott Storch told Jon Wiederhorn, "[Timber-lake] has a passion for classic soul music, and he's learned lots of tricks from back in the day that he's applying to modern music. He's sort of a return to blue-eyed soul." has their magnifying glasses out," he confessed to MTV.com. Critics, however, had nothing but praise for his solo effort. Polly Vernon of the Guardian Unlimited called it "inventive and instant...a truly great record," and described Timberlake's voice as "honeydipped and sweet." Jon Wiederhorn praised, in particular, the track "Cry Me a River," stating that it "marked [Timberlake's] transformation from doe-eyed teenybopper to pained and relevant singer/song-smith." Reviewers also compared Timberlake to a young Michael Jackson (1958–) and many, including Jenny Eliscu of Rolling Stone, dubbed him the new king of pop. 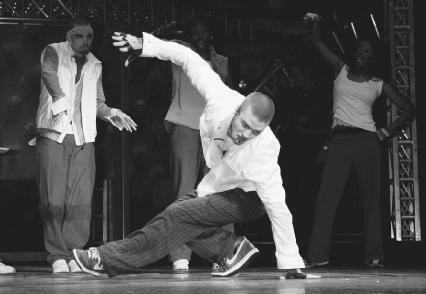 Timberlake had a whirlwind 2003, which he spent on the road performing and relentlessly promoting his album. In the summer he traveled throughout the United States and Europe with Christina Aguilera as part of the sold-out Justified and Stripped tour. He took a brief break to play a benefit concert in Toronto, Canada, sharing the stage with such legendary bands as the Rolling Stones, AC/DC, the Guess Who, and Rush. Timberlake was also a regular on the talk-show circuit and continued to make headlines, not as Britney Spears's boyfriend, but as the most popular performer of the moment. It seemed every move he made hit the news: he hosted Saturday Night Live in October of 2003, became part-owner of a Los Angeles-based restaurant in November of 2003, and of course his love life was not off limits. The twenty-two-year-old was romantically linked with actress Cameron Diaz (1972–), who is nine years his senior. Timberlake also popped up on every music industry awards show imaginable, from the MTV Video Music Awards to the MTV Europe Music Awards to the American Music Awards, where he took home the prize for favorite pop album of the year. In February of 2004 the new solo artist even landed two surprise Grammy wins, including best pop vocal album and best male pop vocal performance for "Cry Me a River." In the latter category, he was up against such music mainstays as Sting (1951–), Michael McDonald (1952–), and George Harrison (1943–2001). Timberlake's Grammy glory was almost over-shadowed by an event that took place earlier in the month: while performing with Janet Jackson (1966–) during halftime at Super Bowl XXXVIII, Timberlake stunned audiences when he yanked off the top of Jackson's outfit. Both artists later apologized and reported that it was a mistake caused by a costume malfunction. By the end of 2004, there was no rest for Timberlake. When he did manage to take a few days off he went traveling with girlfriend Diaz, or headed to Memphis, where his parents still live in the brick Tudor-style house Timberlake grew up in. While there, he hangs out with his dogs Bearlie and Bella, plays pinball and Halo on his Xbox, and hits a few rounds of golf, which is his latest passion. Timberlake was also fielding offers from movie producers, who were keen on tapping into his talent. He signed on to make two movies, slated for released in 2005. The first, called Edison, features Timberlake as a young journalist who teams up with two veteran investigators played by Morgan Freeman (1937–) and Kevin Spacey (1959–). The second movie is Wanna-Be, which will star Timberlake as a college baseball prodigy. Rumors also abounded about whether or not the pop star-turned actor would be joining his 'N Sync bandmates on a new album. Timberlake remained noncommittal, telling the press that he was not sure if he was contractually obligated. Eliscu, Jenny. "The New King of Pop." Rolling Stone (December 25, 2003). Hedegaard, Erik. "The Bachelor: Pop's Mr. Heartbreak Goes It Alone." Rolling Stone (January 23, 2003). "Justin Timberlake: Wanna Be Starting Somethin'." VH1.com: Artists (June 16, 2003) http://www.vh1.com/artists/interview/1472671/06132003/timberlake_justin.jhtml (accessed on August 23, 2004). Justin Timberlake Web site. http://www.justintimberlake.com/ (accessed on August 23, 2004). Klueber, Jill. "Justin's Solo Act." Time for Kids: Kid Scoops (November 11, 2002) http://www.timeforkids.com/TFK/kidscoops/story/0,14989,389161,00.html (accessed on August 23, 2004). Lerner, Meredith. "Justin Timberlake: Work in Progress." 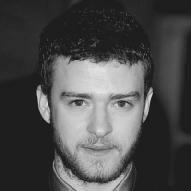 VH1.com: Artists (November 18, 2002) http://www.vh1.com/artists/interview/1458752/11182002/timberlake_justin.jhtml (accessed on August 23, 2004). Vernon, Polly. "Boy Wonder." Guardian Unlimited (UK) (October 6, 2002) http://observer.guardian.co.uk/magazine/story/0,11913,804933,00.html (accessed on August 23, 2004). Wiederhorn, Jon. "Why is Justin Timberlake the Only Youngster Who Can Stand Up to Sting?" MTV.com: News (February 2, 2004) http://www.mtv.com/news/articles/1484705/20040202/story.jhtml (accessed on August 23, 2004). Best wishes for Justin Timberlake! I'm a Vietnamese so i can't speak English well.But i can speak : GOODLUCK TO YOU! I admire you!I LOVE YOU!!!!! i love his songs, hes my favorite fan, love him 2 bits, his de best!!!!!!!!!!!!!!!!!!!!!!! He did really well at the super bowl party 2 bad the patriots didn't win :( Long live Patriots sorry eagle fans I like the pats.